Preheat oven to 500°F. 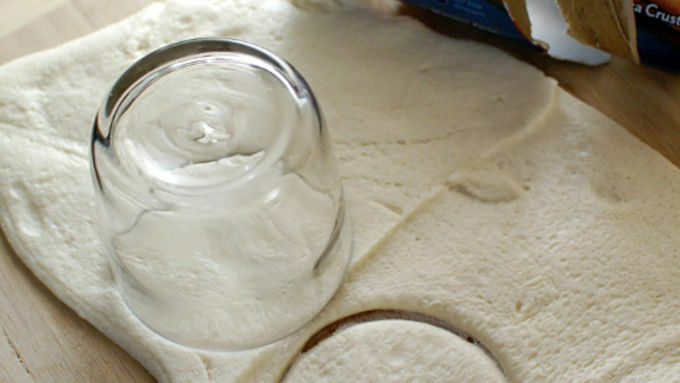 Roll out the pizza dough and use a cup or cookie cutter to make 6 (approximately 4-inch) rounds. Gently work the dough to stretch them into about 5 1/2-inch rounds with a very slight rolled edge. 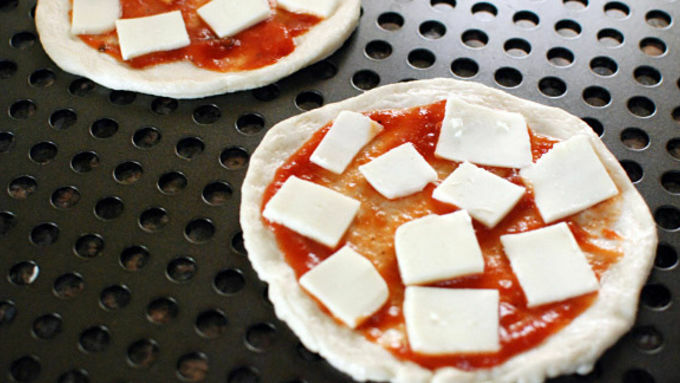 Top the pizza rounds with tomatoes and cheese and put into the hot oven to cook about 4-5 minutes. They will start browning quick and there is a only a brief time between being cooked and starting to burn, so watch them carefully. 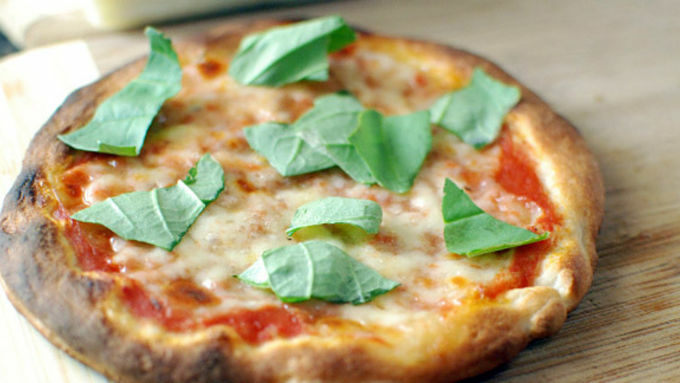 When the pizzas come out of the oven, top with torn basil. Meanwhile, form your burger patties. Use the pizza size as a guide for how big to make the burger. Salt and pepper on both sides. Grill to desired temperature/doneness. Place the burger onto one of the pizza rounds, and top with an additional pizza round. Serve! 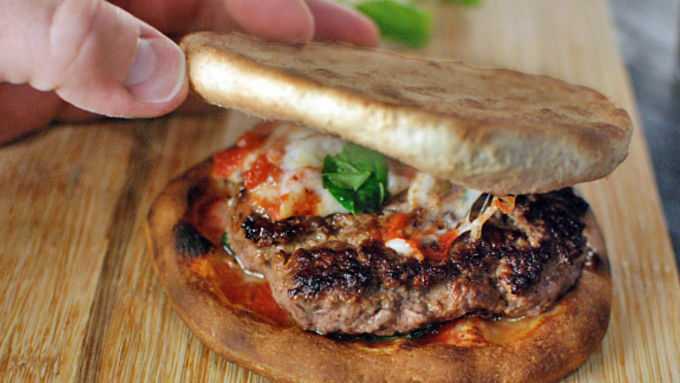 This isn't pizza flavor mixed into the meat – it's a burger on a pizza bun! Pizza and burgers. America's foods. But wait a second ... they're both round. They're both are made with bread that serves as something to hold onto while you eat. Let's bring them together! This idea is so obvious that I'm pretty surprised it isn't more common. The fun of this burger is making these perfect little Neapolitan-style pizzas to serve as the bun. If you take your time and make the burger and the pizza just the right size, it really is magic when the pizza and burger come together. You could take this idea in any direction you want. How about pepperoni pizza? Maybe make the burger out of meatballs? Or even sausage? 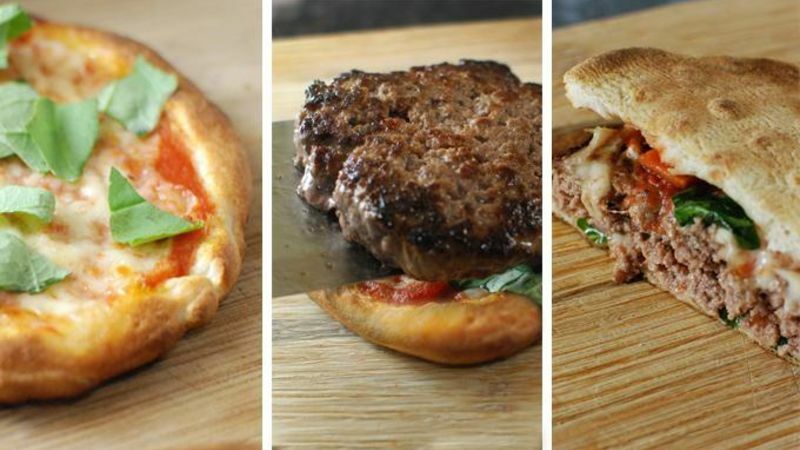 The world is yours with these pizza burgers. I went a classic route cause I wanted the burger to taste “burgery” and a true fusion of the pizza and the burger. These burgers were fantastic. Stringy cheese awesomeness!